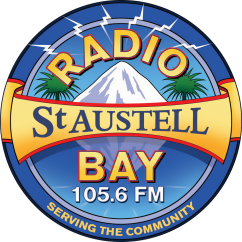 St. Austell AOS have ridden a high wave in recent years with outstanding productions of much loved shows; this year they’ve thrown caution to the wind and bring Dirty Rotten Scoundrels to the stage. Many fans were perplexed at the choice, most had never heard of it at all while some vaguely recalled a 1980’s film starring Michael Caine and Steve Martin. The ‘fear of something new’ rumbled on outside the company’s rehearsal rooms, inside was a different story – they were up for this and ready to show us that award winning Director Kathy West would take them forward on the crest once again. Kathy’s core creative team are familiar names both on and off stage and their passion for their various roles shines through; Musical Director Vicky Pascoe, Choreographer Jess Madeley and Production Assistant Rachel Capelin help Kathy and the cast deliver a show that is professional, funny, inventive and a joy to watch.For those who don’t know the story, you’re in for such a treat – it’s good to see something fresh and new; audience members who recall the film will be so delighted with this stage show that they will forget everything about the original and be swept along with the fun. Kim Rowe and Kieran Whitmore are both terrific in their roles as con artists in the south of France, but the town isn’t big enough for two swindlers so they place a bet with each other where the loser will leave town. Craig Munday is superb as the local Policeman and Kim Rowe’s long time partner in his many crimes, but in a resort filled with beautiful women, who knows what might happen? Tara Davin, Alice Waterfield and Kim Prophet are fabulous leading ladies, portraying a wealthy American socialite, an Oklahoma oil heiress and an American Soap Queen – all perfect targets for our slick con men, what could possibly go wrong?As we would expect from St. Austell AOS, the large ensemble look and sound wonderful – we might not recognise any of the songs, but it really doesn’t matter as we step out of comfort zones and soak up something completely different. Congratulations to the stalwart team behind the scenes in creating lighting, scenery, props, sound and costumes, that transport us to a piece of paradise on the French Riviera.